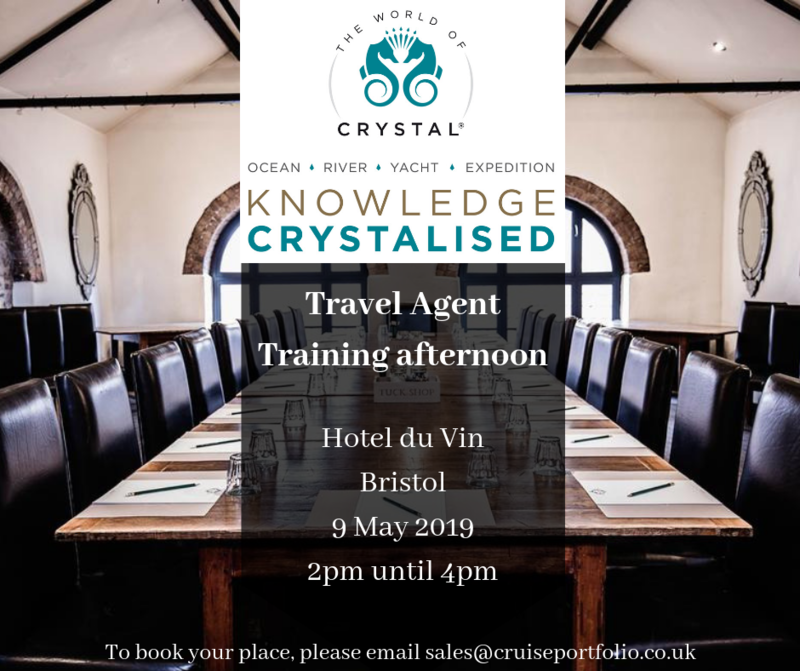 Enjoy a coffee and cake whilst learning about everything Crystal: from the classic ocean ships to the new exciting expedition yachts and everything inbetween. 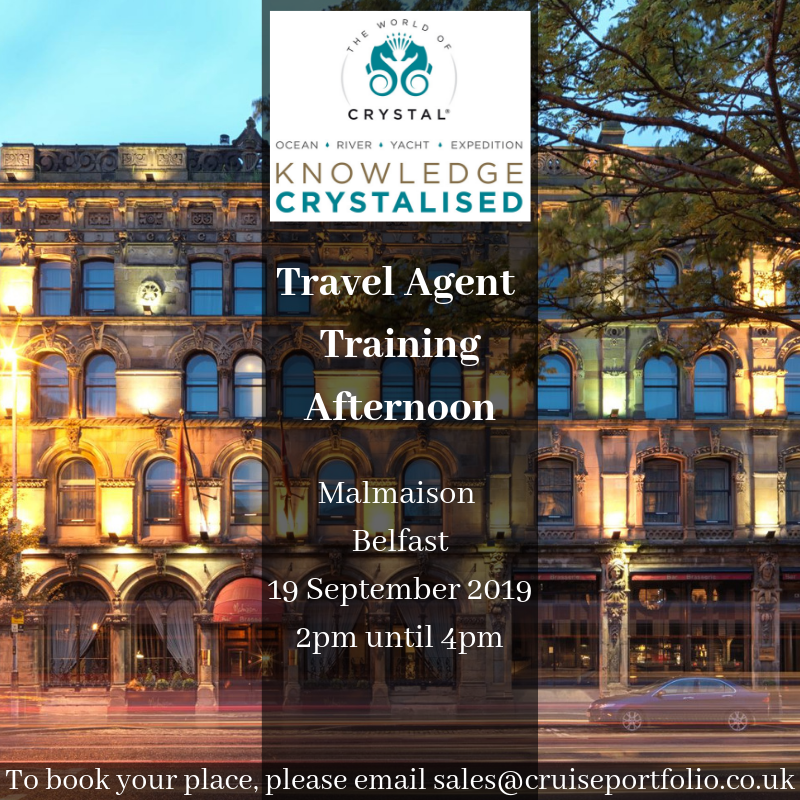 Tell your colleagues and email sales@cruiseportfolio.co.uk to book your slots. 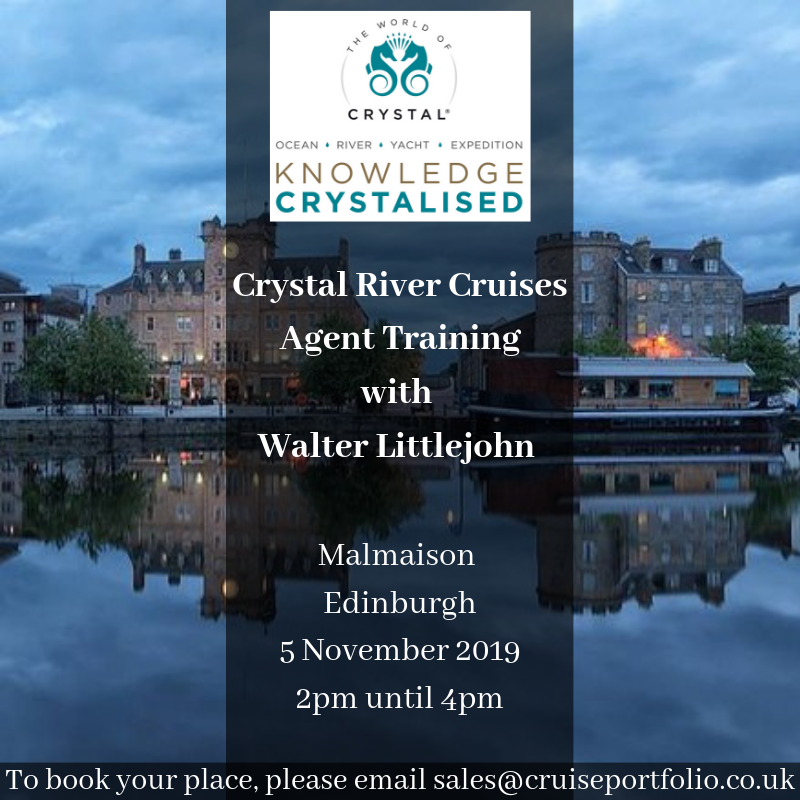 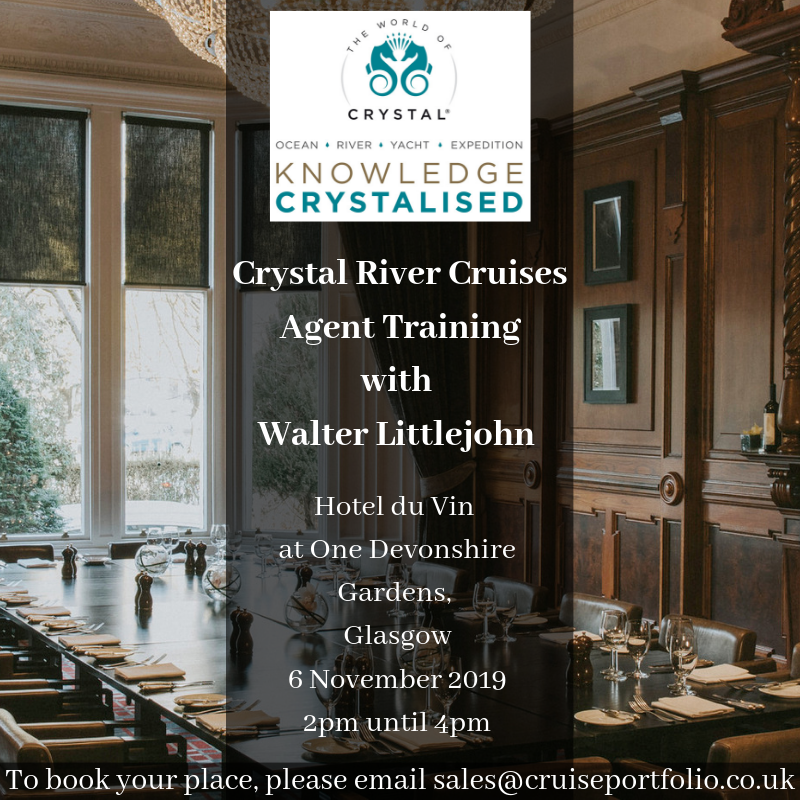 We invite you to join Walter Littlejohn, Managing Director and Vice President of Crystal River Cruises, for an afternoon training session this November to learn all the latest about Crystal River Cruises. 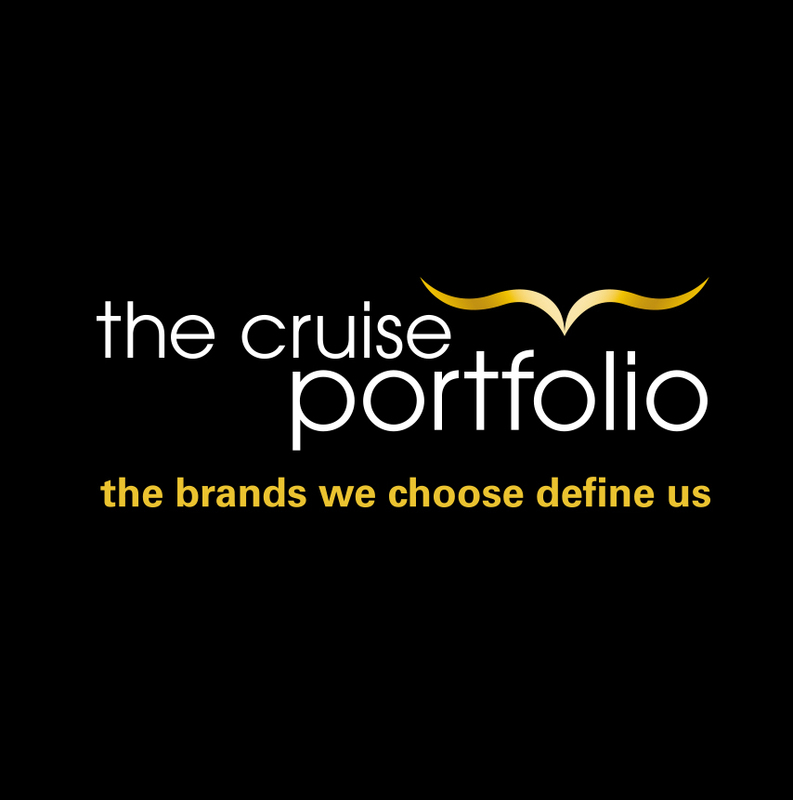 March: Have a listen to our first webinar, recorded by Mick Dupont, Head of Sales. 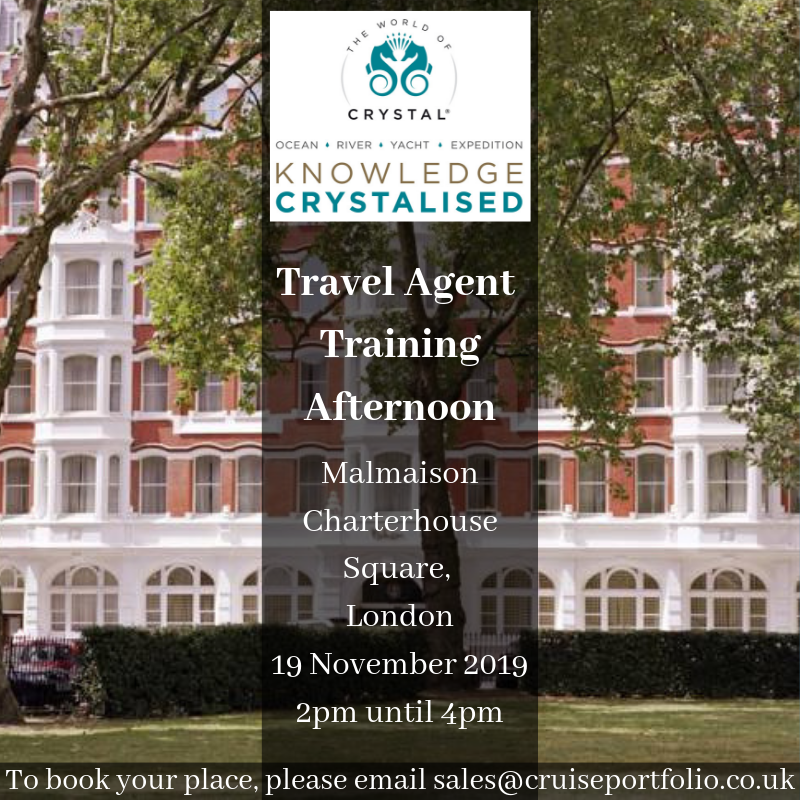 Hear about our #KnowledgeCrystalised campaign and all the latest Crystal news. 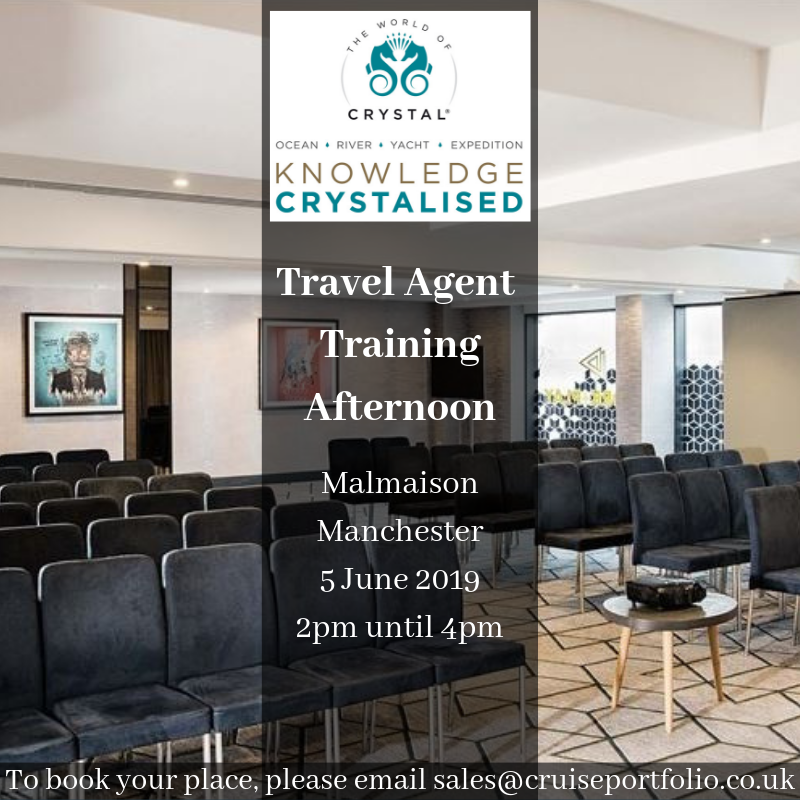 April: This month Megan Saunders has given us a great summary of all the exciting new Crystal offers this month - including a Confidence Promise and UK only exclusives. 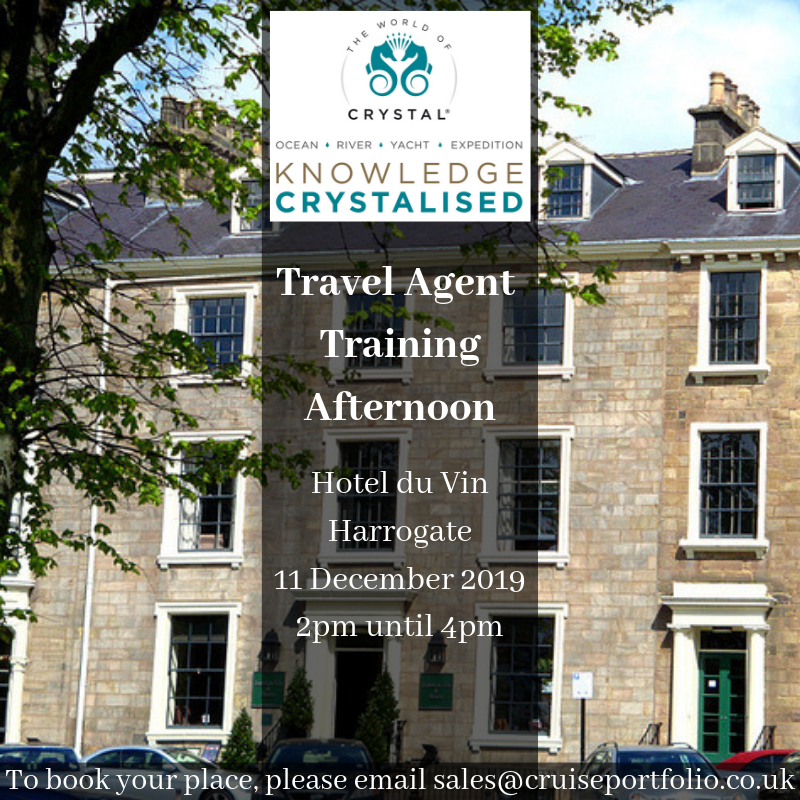 Also, hear about our upcoming events. 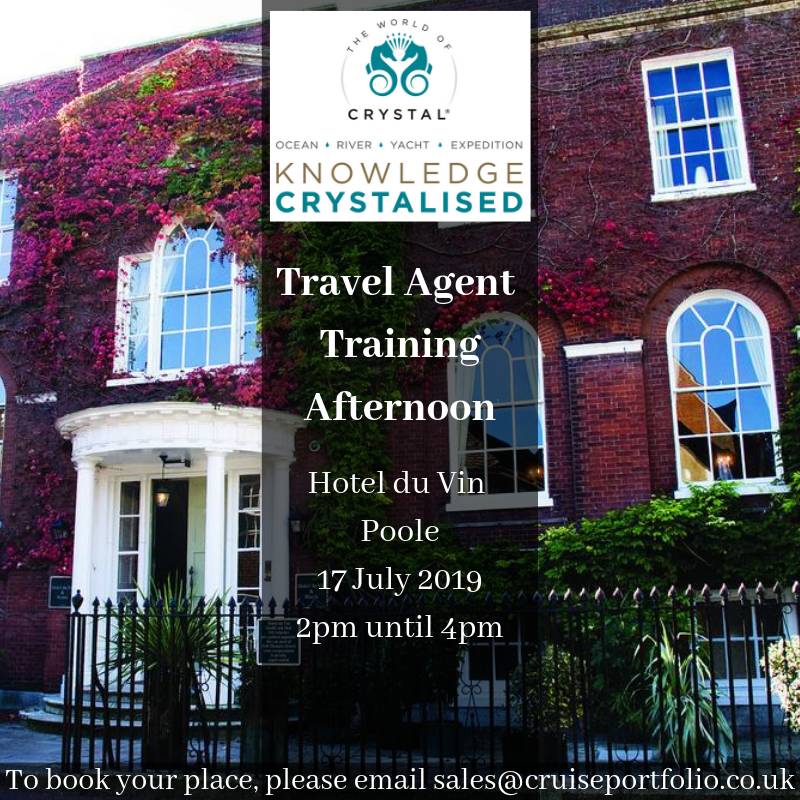 PLEASE NOTE - skip to 6:47 for the start due to technical difficulties.